Over the weekend, the Utah Attorney General’s Office partnered with the Junior League of Salt Lake, Backyard Broadcast, and rock-star Representative Angela Romero on behalf of the National Foundation for Women Legislators (NFWL) to raise awareness about the fight against human trafficking. The industry of trafficking humans is alive and well in America, and Utah is not exempt. The good news is that we can fight it. 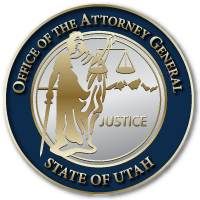 The State, through the efforts of legislators, the Attorney General’s Office, law enforcement, and many community partners are educating people, arresting and prosecuting wrongdoers, and improving our laws when it comes to minors, victims, and punishment of predators. You can help too. For more information on how to recognize signs of human trafficking, click here. For more on the Red Sand Project here in Utah, follow any of the following links. See below for more information on the Junior League of Salt Lake, Backyard Broadcast, the National Foundation of Women Legislators, and the Red Sand Project.